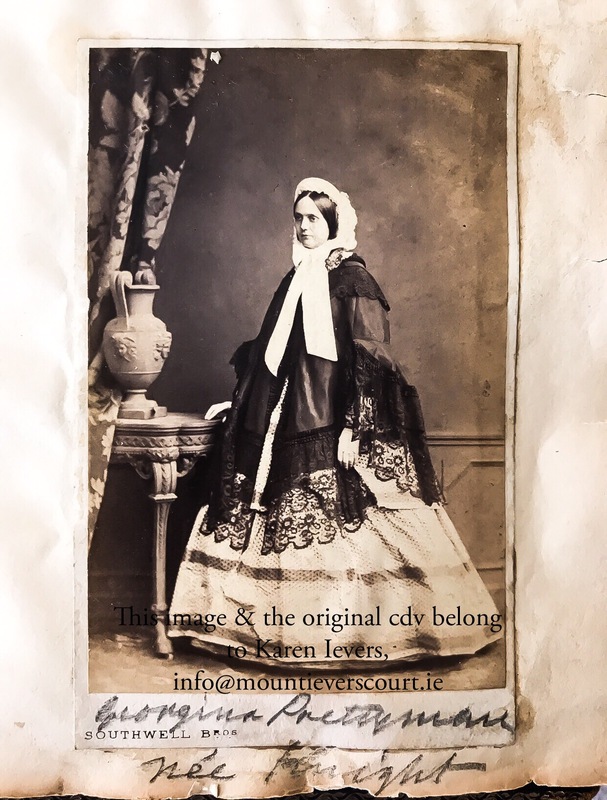 A collection of images and documents that we have discovered at Mount Ievers and/or have collected over the years. 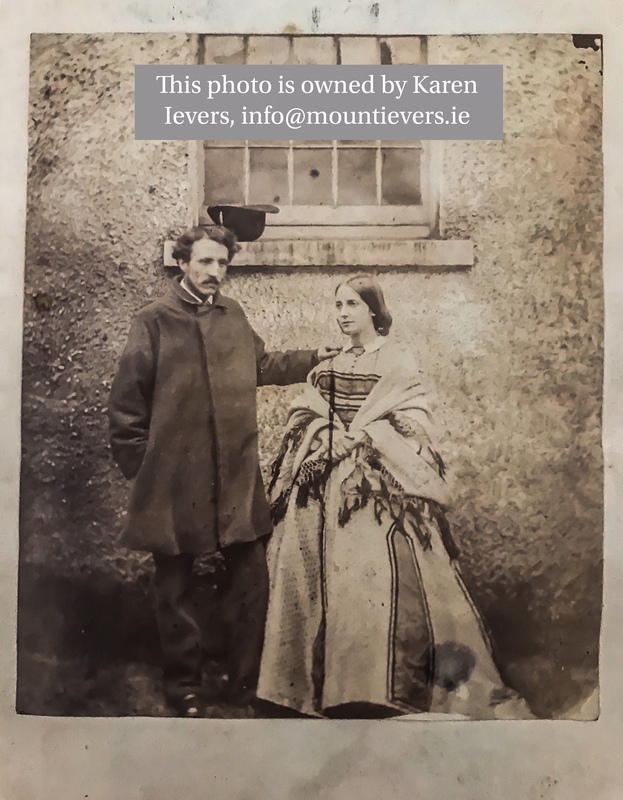 For more info on any of the archives please do not hesitate to email us at info@mountieverscourt.ie. These images are 100% owned by us thus protected by copyright law and will not be allowed to be used for 3rd Party Commercial use. 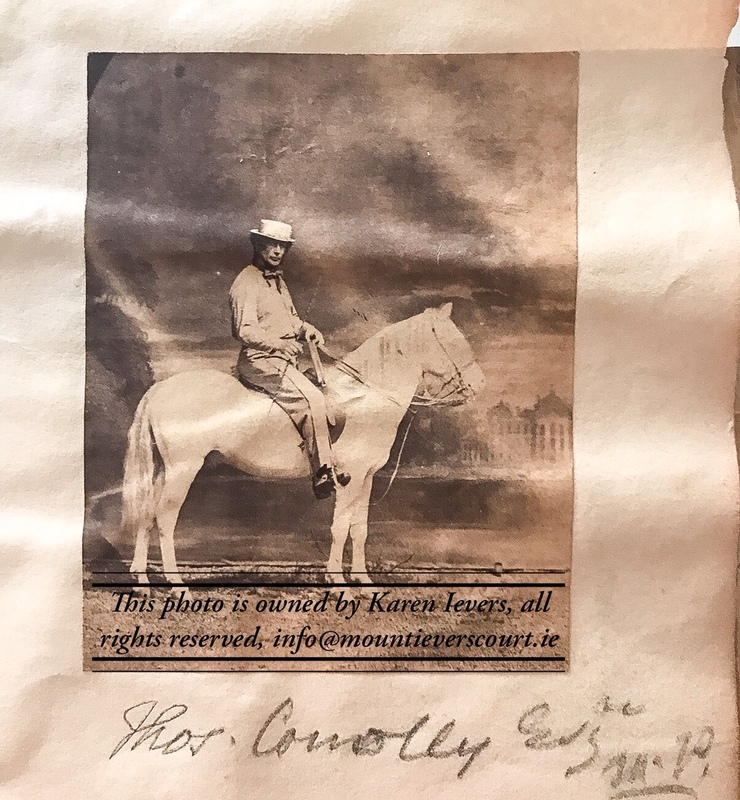 From my George Hill album: Rare photo of Prof. Owen Connellan 1800-1869, who translated the Annals of the Four Masters from Irish to English in 1846. 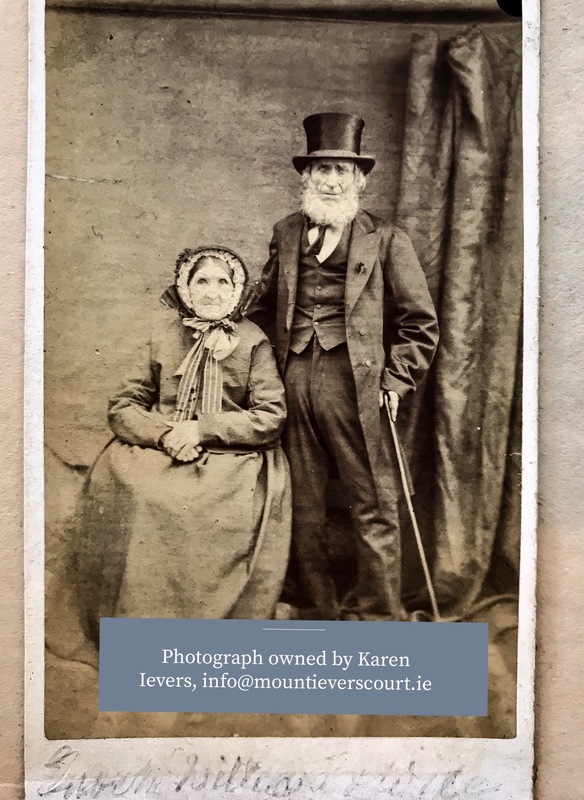 From my Lord George Hill album (Ballyare, Donegal): L to R Jane Austen’s niece Louisa, Lou’s brother Edward Knight & Master George Hill, born when Louisa was 45. 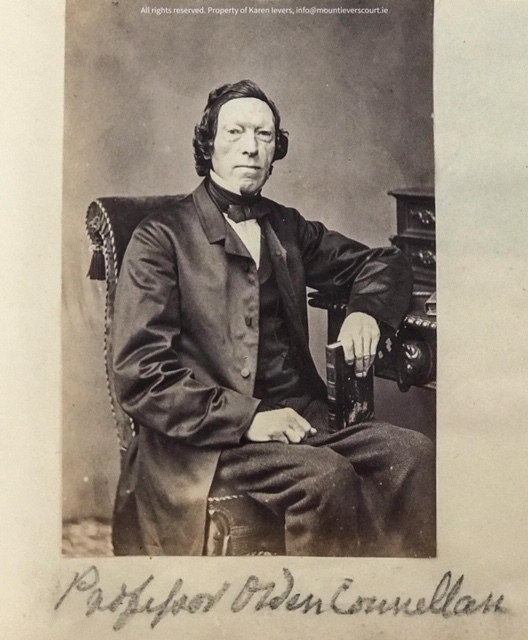 From my George Hill album: Thomas Conolly (1823-1876), Castletown. From my George Hill album: Capt. Hon. Somerset Ward, 5th son of 3rd Viscount Bangor of Castle Ward, Co. Down & the Hon. Norah Mary Elizabeth Ward née Hill, 1st d. of George Hill & Cassandra Knight & g/d of Edward Austen of Godmersham Park. Norah was Jane Austen’s great niece. 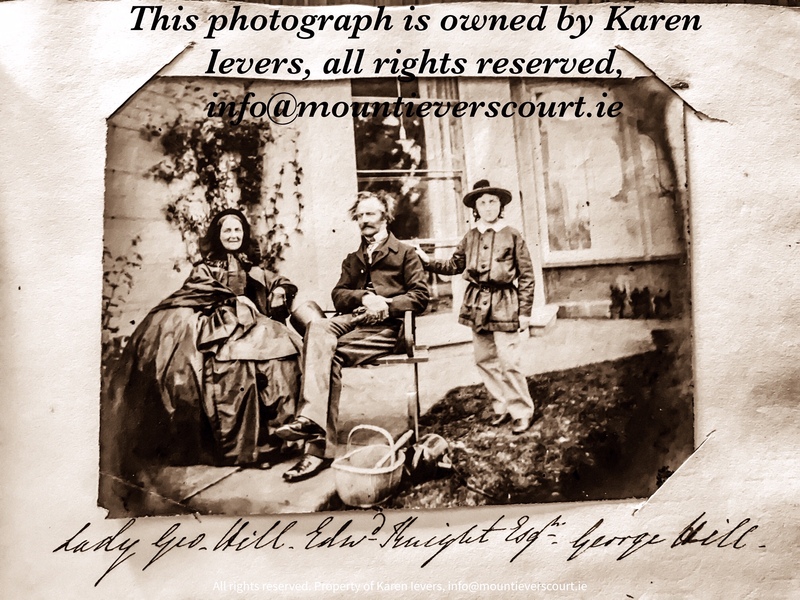 From my George Hill album: Dr. William Wilde on the right was a friend of Lord George A. Hill. They were both associated with the Royal Irish Academy. The woman sitter does not appear to be Speranza. Perhaps Wilde’s sister? Georgina Prettyman nee Knight, daughter of Mary Dorothea Knatchbull & Edward Knight. Great niece of Jane Austen.